In music a vamp is not a bloodsucker… it is a form of Ostinato. Ostinato is a repeating phrase used throughout a piece and in between songs. For those of you who are guitar players you may be familiar with riffs, riffs are another form of Ostinato as they are musical figures that repeat throughout a song, and sometimes alone define a song. Some of the most famous riffs out there are “Johnny B Goode”, “Sunshine of Your Love”, and “Smoke on the Water”. When it comes to the ukulele we have the vamp. Back in the 30’s and 40’s when ukuleles were very popular, bands would often see the words “vamp till ready” placed in between songs and sheet music. The vamp was a musical filler for musicians to keep the upbeat feeling going before transitioning to the next song. In a previous article we mentioned common chord progressions, and in jazz vamping is the same as the turnaround. This well known ukulele vamp is written in Nashville notation as II7, V7, I. In the key of C that gives us the notes D7-G7-C (remember in the Key of C the second note ii is D minor, but in this case it is written in uppercase Roman Numerals II, so that means it is D major). Normally you play the D7 and G7 for two beats a piece and then the C at 4 beats, however this can vary based on the rhythm you are attempting to create. Just stop reading for a second and play that progression. Notice how perfect it fits with the ukulele; it is a progression that can be played many times in a row before moving onto your next song. If you have trouble playing the barred D7 chord of 2223 you can always play the D7 as 2020, I sometimes prefer the sound of the 2020 variation to the barre. Of course this notation can be used in all 12 keys but above are some of the more common vamps you will be using. You can use whatever key you happen to be in at the moment or transitioning to. 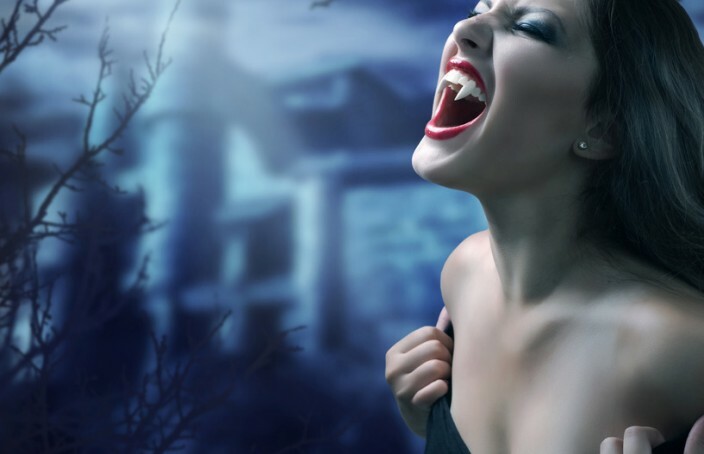 Now while this simple vamp is commonly used and has stood the test of time, it can sometimes get a little tired so we have some variations to add. Instead of a D7 and G7 we will use 9ths, D9 and G9 and we can switch to a Cmaj7 and then end on a C. Now these chords are much more difficult than the 7ths, but that is good, they help us practice barre chords, and stretch our fingers. Notice this progression isn’t as uplifting as the original vamp. It has a jazzier sound, and that extra Cmaj7 step before the final C sounds great. Even though you are playing the same chords these alternate positions give the vamp a new sound. While playing the vamp play around with these different positions especially with ending on C and C6 variations. We can also spice our vamps up by using substitute jazz chords in place of our original D7-G7-C. Chord substitution is often used to create variety, and the chord substituted must have a similar harmonic function to the original chord. For those of you who are new to music theory this may seem a little complicated but with practice it will become much easier. Take the first note D which has the scale D-E-F#-G-A-B-C-D, now a common substituting method is to take the 5th note of the scale and flatten it. So the fifth note of the D scale is A, flatting it we get Ab. The G scale is G-A-B-C-D-E-F#-G, the fifth flatted note of that scale is Db. We are still working in the original vamp progression, just trying to get a little more creative with it. Some of these chords will be a little difficult for a beginner, but it is great to practice them and get a basic understanding of the music theory underlying the vamp changes. However, one of the best parts of the vamp is its simple repeating nature… ostinato, so while it is great to experiment with changes, don’t forget sometimes a simple vamp sounds and works the best! Also the vamp doesn’t always have to played in the same manner and for the same measures. Sometimes fingerpicking your way through the vamp can give a nice background sound while just talking to your audience. I personally like to slowly fingerpick the basic progression of D7-G7-C and right at the end of the vamp, before I begin a new song or end my show I like to play each chord D7, G7, and C with one beat forcefully ending on another C or C6… as if to say That. Is. All. Bam!